In recent international news, a royal decree has been issued in Saudi Arabia lifting the ban on women driving in the Kingdom. King Salman made the announcement in September 2017. The king declared that women will have the right to a driver’s licence and all driver rights. Activists in the country believe that the new announcement signals Saudi Arabia’s new approach to Woman’s rights. However, others in the country critize and accuse the King for conforming to the western ideology. I believe that Saudi Arabia is lacking some of the basic human rights for women and minorities in the country. However, as someone from a western society, when do I cross the line from just stating my opinion to imposing my beliefs on others? Is it okay for me to compare my views to that of another country’s? Western cultures have a long track record of invading countries, interfering with politics, and imposing their ideologies. Is Saudi Arabia conforming to western ideologies and norms or is the country progressing on its own terms? Will this new decree lead to more changes in the rights of Saudi women or was it just a result from Western pressures to change? Saudi Arabia was the last country to prohibit women from driving.The conservative Kingdom is slowing changing under the rule of the new Saudi Crown Prince Mohammed Bin Salman. The 32-year-old sparked outrage amongst his conservative counterparts with the new royal decree. The struggle for women’s rights to progress has been a long and on going issue in the Kingdom. Just like any social or political issue, women have been negotiating, debating, and fighting for their rights. Whether behind closed doors or in public spaces, Saudi women have voiced their concerns with the ban. Many female activists have tried to protest the ban but have either been jailed or silenced. Over the years, western media has covered many social and political issues in Saudi Arabia. However, the media uses certain tactics to create the Othering process and mock both the Kingdom and its social and political issues. The first driving protest took place in 1990. 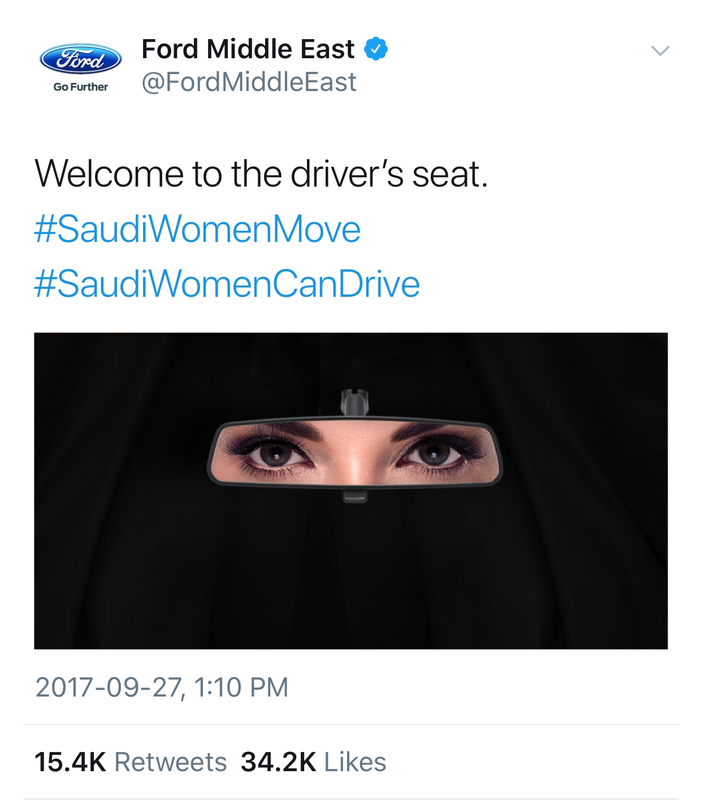 Forty-seven Saudi women took to the streets and drove their cars in protest of the ban. They were all arrested for a day and Saudi officials confiscated their passports. Some of the women even lost their jobs or were suspended as a result of their protest. The news piece focuses on the difference between the “conservative Islamic culture” of Saudi Arabia and western societies. Christiane highlights the differences in order to create the Othering effect, which thus explains why the driving ban is barbaric and why it shouldn’t be in effect. The 1990 CNN news report is an example of how western societies highlight foreign countries as different if they don’t have the same ideology. For example, in the report, Christiane stated that the 1990 protest made headlines globally but was kept out of Saudi Arabia’s news. This indicates that because Saudi Arabia state television didn’t report on the protest, they lack the ability to address and create change in their national social issues. 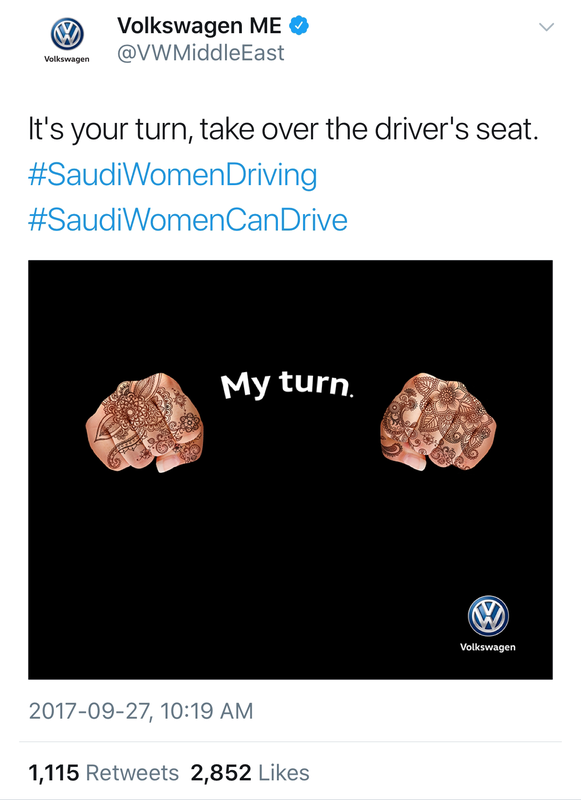 My personal stance is that women in Saudi should be given the right to drive. However, my view is biased and largely based on the information that I learnt from the Western culture that I actively participate in. I (consciously and unconsciously) allow the western ideology to influence my beliefs but that doesn’t mean that others also have to as well. Just because a country or society doesn’t practice or act the same way as other western countries, doesn’t mean that they are wrong, underdeveloped, or lacking human rights. In 2011, Manal-al-Sharif reinitiated the 1990 driving protest. She recorded a video of herself driving and posted it onto YouTube. In her TedTalk, Manal describes how the video became viral in Saudi Arabia but Saudi authorities remained silent on the matter. Manal, along with other Saudi female and male activists, created an online Campaign named Women2Drive. Shortly after the campaign launched, Manal took her protest to extreme measures when she drove by a police car. She was arrested and spent nine days in jail. The Women2Drive campaign launched a date for women to drive in solidarity with Manal and in protest of the ban. On June 17 2011, a hundred Saudi women took to the streets and drove their cars. Manal states that although many Saudi police were patrolling the streets, none of the women protesters were arrested or charged. This was the first official victory for Saudi women and helped spark hope throughout the Kingdom. However, non-Saudi news outlets covered the victory very differently. News reports, articles, comedians, and social media users mocked the ban after news of the protest surfaced. Rather then acknowledge the success of the protest, western media focused on the countries policies and it’s reasoning for the ban. Russell acknowledges that western media focuses on Saudi’s lack of progress in human rights. This is a direct result from the comparison of Saudi Arabia’s society to western Societies. This comparison is harmful and suggests that countries that don’t meet the west’s standards are wrong, underdeveloped, or lacking human rights. It also excludes and helps to erase a country’s culture and history. After years of protest, King Salman announced that the Saudi Arabian women would have the right to drive as early as July 2018. Reactions from Saudi citizens varied; some were excited and thought it was long over due while others thought the country was conforming to the western ideologies. The international reaction almost seemed synchronized and scripted. Many government officials, celebrities, and citizens took to twitter to share their opinions on the announcement from Saudi. Many pocked fun at Saudi Arabia’s alleged lack of liberal freedom and progression. I have strong opinions regarding human rights and injustices across the globe. However, there is a difference between voicing a concern or opinion and pressuring change in other countries. As citizens in a country we have a right to demand change in our nation. As citizens from the west, I don’t believe we have the right to insist on other countries to change their views, way of life, and ideology. A recent blog that I read stated, “in countries in which we Westerners have tried to civilize and have created even more problems, which is much of the world, I believe that we need to try to undo some the mess we have created in these new and re-evolving cultures.” Western countries have a long track record of invading countries and causing problems. It’s time we tried to undo some of that mess by not interfering with foreign country’s social and political policies. Hey, I’m Muna, that annoying girl in every class who always has her hand up. This blog is for me to share my opinions on current issues, relevant topics, and everything millennial. I love hearing other peoples thoughts just as much as I love sharing mine. Please comment below and add to the conversation.